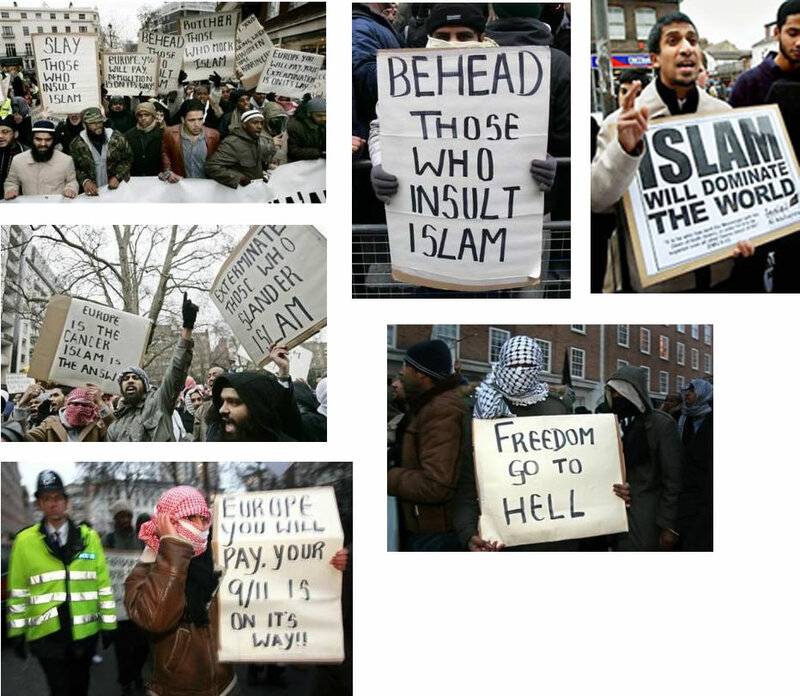 who marched throughout the streets of Londonduring a "Religion of Peace Demonstration. "These photos have never been shownin any Americannewspapers or on any American television news programs. The Mainstream Media would never want to offend anyone.